People are strange, but then so is this podcast! In IRL Jason has a strange visitor, we talk about our 4th of July, and Lucas had the day from H-E-Double Hockey Sticks. We also talk about GLOW, MGS V, and Tom Hanks' funny laugh. The comes the community grab bag, so hold on to your butts, it's about to get weird. Amongst our usual ridiculous, we talk some Mario Kart 8 Deluxe, Metal Gear Solid V, Electric Boogaloo, and I Am the Pretty Thing That Lives in the House. 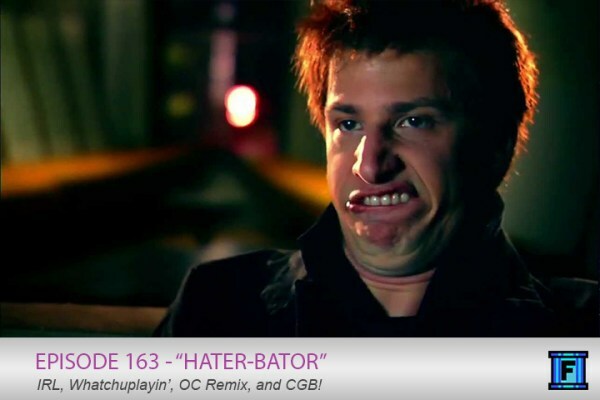 We also answer the age old question, what is a hater-bator? On this episode we spend a bit more time talking about our Whatchuplayin's and we answer some Star Wars related grab bag questions!